Spanish grammarian of the fourteenth century. 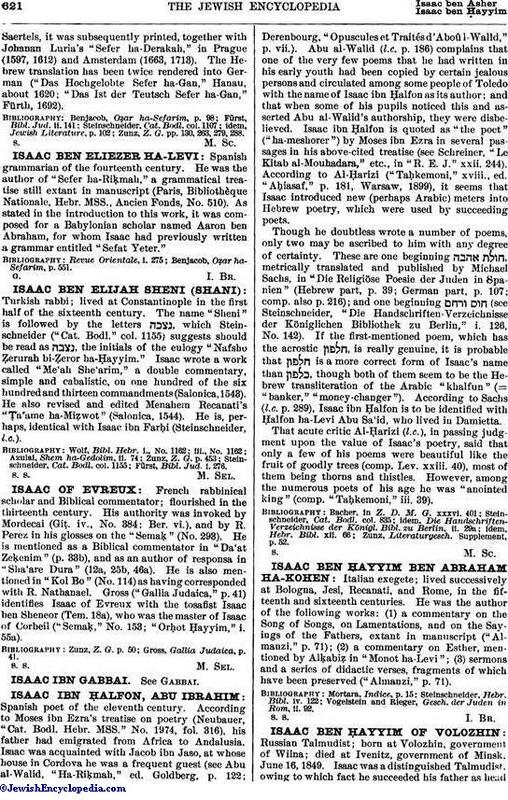 He was the author of "Sefer ha-Riḳmah," a grammatical treatise still extant in manuscript (Paris, Bibliothèque Nationale, Hebr. MSS., Ancien Fonds, No. 510). As stated in the introduction to this work, it was composed for a Babylonian scholar named Aaron ben Abraham, for whom Isaac had previously written a grammar entitled "Sefat Yeter." Benjacob, Oẓar ha-Sefarim, p. 551.